Have you just got a new computer and thinking about syncing your iTunes library to it? Well, don't worry, you need not deem about the glitches that you must have heard concerning data damage or anything else. This article will show you the easiest ways to transfer iTunes library to another computer. iMyFone TunesMate is a highly distinguished third-party alternative which has been designed exclusively for Mac and Window users with iPods, iPad, and iPhones. One of the most highlighted features, it allows you to merge different iTunes libraries together and even rebuild the previously corrupted or damaged iTunes Library, that too by automatically avoiding the chances of creating any duplicates. 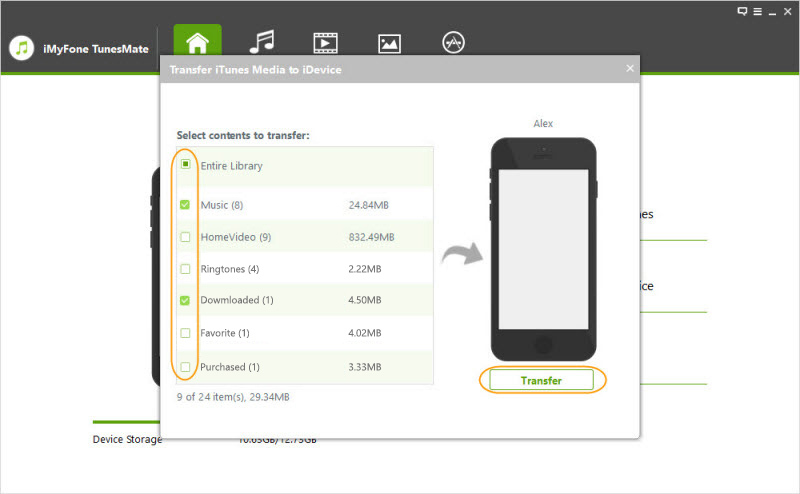 Transferring files gets much easier with the two-way transfer functionality of TunesMate. Share your iTunes library and iPhone media with anyone from your family and friends, even if they are signed in with different Apple IDs. Keeps you protected from the unfortunate instances of data loss, like crashing of the computer, iTunes library update, accidental deletion, iTunes library export to a new PC, sync session failed etc. TunesMate opens an all-new world of possibilities for its users and lets them pass several restrictions that Apple inflicts on its application. Using TunesMate is notably easy. 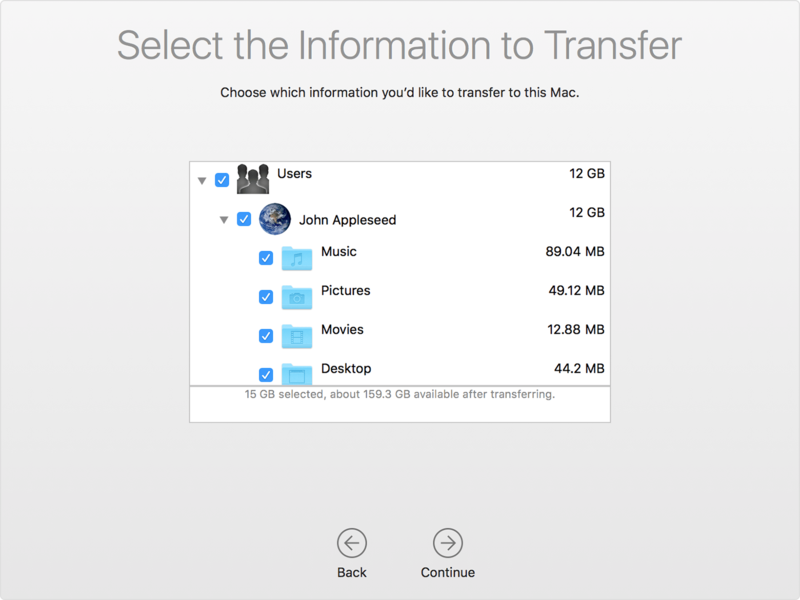 Just in a few steps, you can learn how to transfer iTunes library to another computer. Simply, launch TunesMate on your computer and proceed to connect iPad/iPod/iPhone with a USB cable. 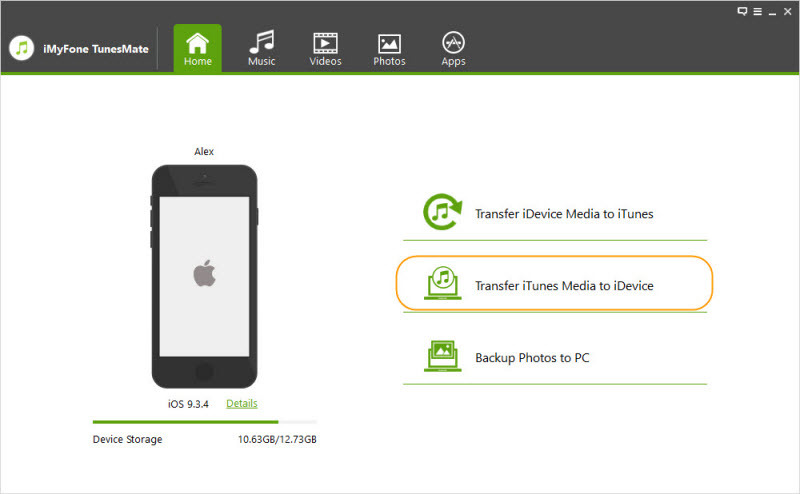 You will see 3 options available there, choose the second one showing "Transfer iTunes Media to iDevice". By default, all the media files will get automatically checked by now. You can uncheck whichever files you do not wish to transfer. Now select the Transfer button to initiate the transfer and complete the process by OK button as it pops up at the end. Then connect your iDevice to another computer, choose “1-Click Transfer iDevice Media to iTunes” and select the files you want to transfer, and click start. After a few minutes, you successfully transferred iTunes media file. Once you install Windows Migration Assistant, open it and it will guide you through the process easily. 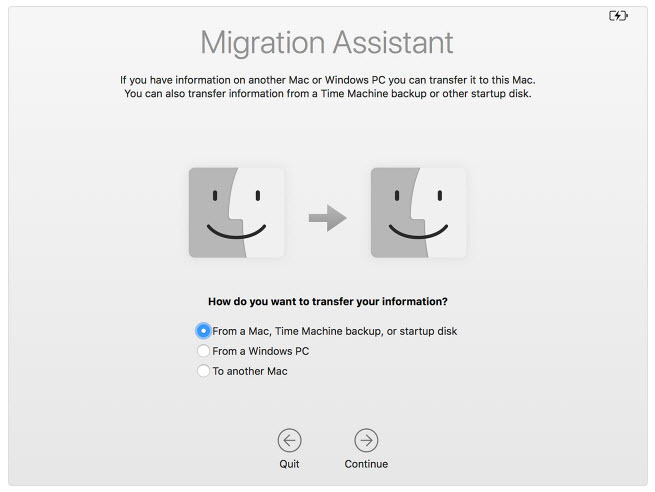 Launch Migration Assistant and choose "From a Mac, Time Machine backup, or startup disk", click Continue. On Old Mac, Choose "transfer to another Mac", on new Mac, choose the appropriate icon when prompted. Select the files you want to transfer and it will take a few hours to finish. Content synced from iTunes, videos, photos, books and imported MP3s or CDs. Photos stored in the cloud like iCloud Photo Library and My Photo Stream. Content from App Stores and iTunes, or directly downloaded PDFs to iBooks. Simply follow the steps below, you can transfer iTunes library to another computer. Open the folder, copy the files to an external drive, and connect a new computer to copy them in the iTunes backup folder of another computer.